The 1st only INSTRUMENTAL Praise & Worship Lullaby album! These 20 instrumental lullaby arrangements of praise & worship are the Perfect Gift to celebrate a new arrival, Christening, or Dedication. Lullaby Worship CD by Various was published by Classic Fox Records in July 2017 and is our 26699th best seller. 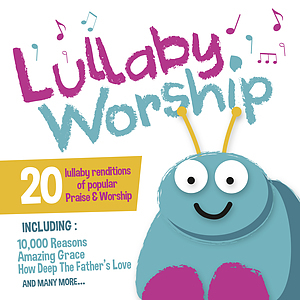 The ISBN for Lullaby Worship CD is 5038508018703. I have used this album as a gift for new parents and young children in my church, and it has been very well received. When I saw the track list I was worried about songs like Shout to the Lord but it is a restful instrumental arrangement like all the other tracks. The children loved the caterpillar on the cover and ask to hear the music. Got a question? No problem! Just click here to ask us about Lullaby Worship CD. Now Playing: 10000 Reasons Your browser does not support the audio element.